If you love the sound of a Super Distortion® in the bridge and you like hot neck pickups too, try a Super 2™. The Super 2 takes the classic Super Distortion sound and slides the EQ up in favor of the high-end, so its brighter top and lighter bottom work to balance out the darker, overtone heavy information up by the fingerboard. The Super 2 is just the pickup to clean up the overdrive sound of a mud-heavy 24 3/4" scale, two-humbucker guitar or to add snap to a dark sounding 25 1/2" bolt-on. It works great in the bridge or the neck. 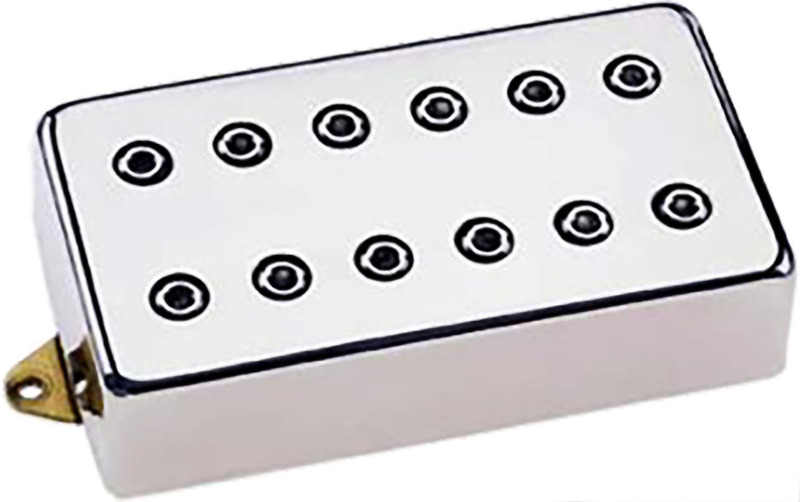 Recommended for neck position with equal or higher-power bridge pickup. Can also be used in the bridge position with equal or lower-power pickup (PAF Pro®, FRED®, Evolution® Neck). This is a very bright bridge pickup, but the highest frequencies are rounded off enough to allow the pickup to cut without being too "buzzy" or metallic. Note: F-Spaced pickups are most often used in the bridge position.